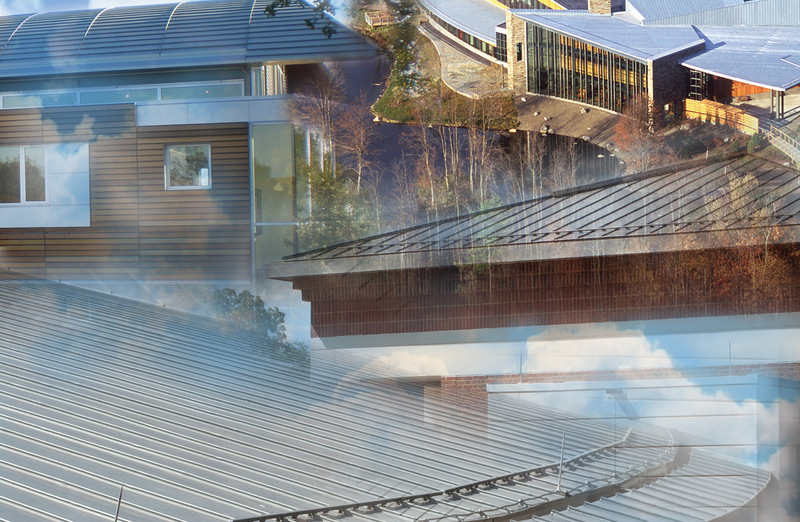 Metal roofing lasts a long time – and EnkaRoofVent helps it last even longer. By promoting free-flowing, multi-directional ventilation and drainage, it reduces the chances of moisture-related problems such as corrosion, ice damming, mold, mildew and rot. With its 95% open structure, EnkaRoofVent creates an unbroken air space, acting as a thermal break between metal roof panels and sheathing. 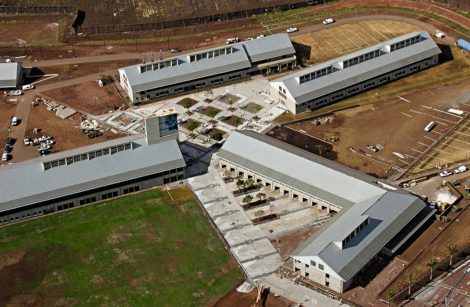 In warm climates, this saves cooling costs by reducing rooftop temperatures. In cold climates, the ventilation prevents moisture freezing into damaging ice dams. 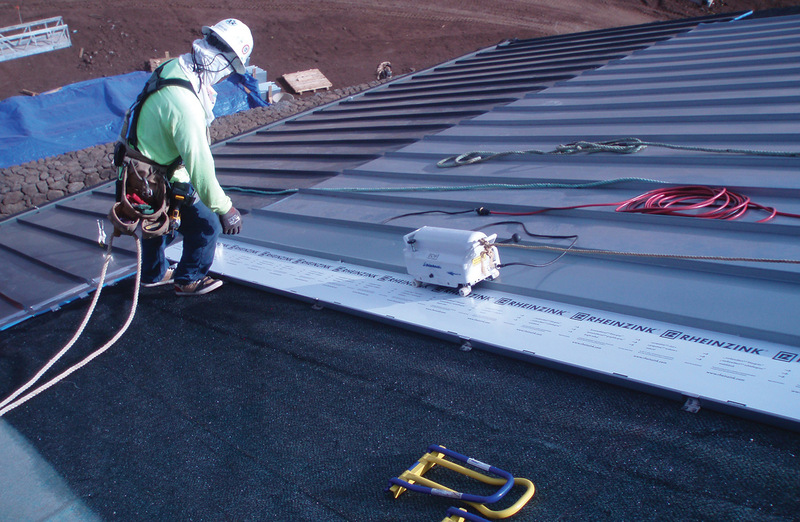 EnkaRoofVent supports roof panels at all points from edge to edge, so you avoid the time-consuming task of precisely placing each fastener to align with underlying, unseen furring strips. 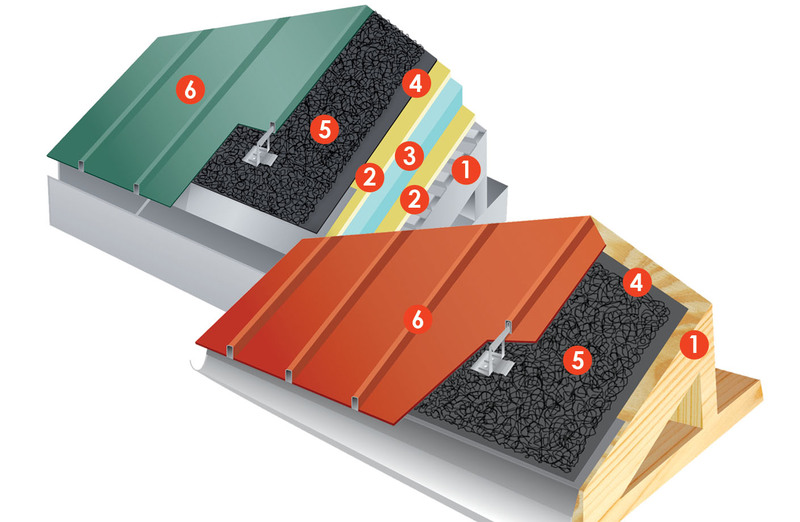 Installation is quicker and easier, and you have a walkable, damage-resistant roof. EnkaRoofVent creates an overhead blanket of air that quells sound transfer, reducing rainfall noise by up to 50%. This is a particular benefit in buildings where peace and quiet is needed, such as schools, churches and hospitals. Solar irradiance absorbed through the roof heats the air space below. With EnkaRoofVent, the hot air travels up though the sheathing air space and out the venting system. So unwanted heat escapes, and the natural air flow removes moisture that can cause mold, mildew, and corrosion. 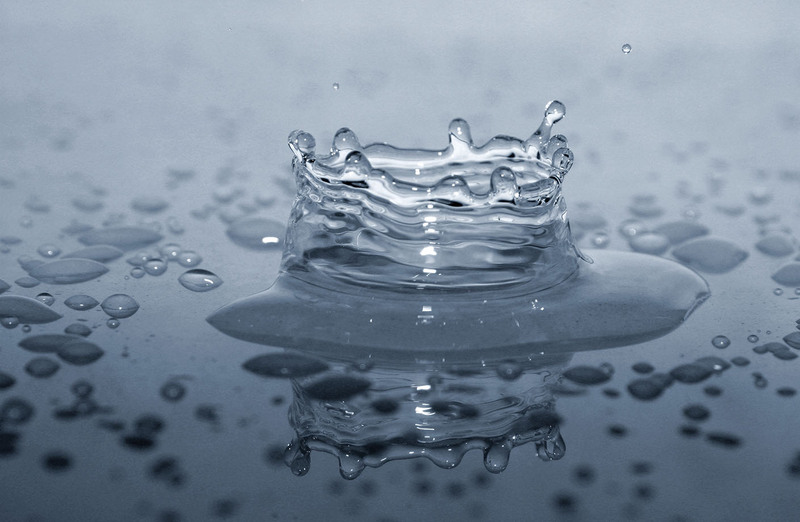 Prevents corrosion and ice damming, and acts as a thermal break, reducing heat build-up. Designed for horizontal, steep slope and vertical applications, and has a Class A Fire Rating ASTME84. Lightweight, flexible and easy to cut, and attaches quickly and securely with common fasteners. Reduces rainfall noise by up to 50%. Recommended for use with structural insulated panels (SIP). Protects weather barrier membranes in panel installation, and, as a slip-sheet, makes panel placing easy. EnkaRoofVent 7010 is a 3-dimensional multi-use mat of nylon filaments fused at the intersections. 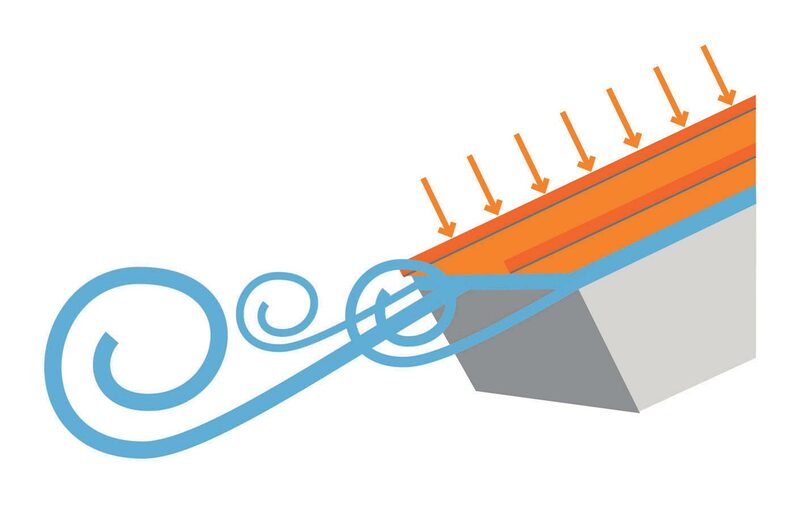 A thermal break, it creates a temperature difference up to 22°F between the roof surface and the sheathing (substrate) and reduces noise from rain or sleet by 9.5 to 13.5dB. 7010 is .40in (11.43mm) thick. 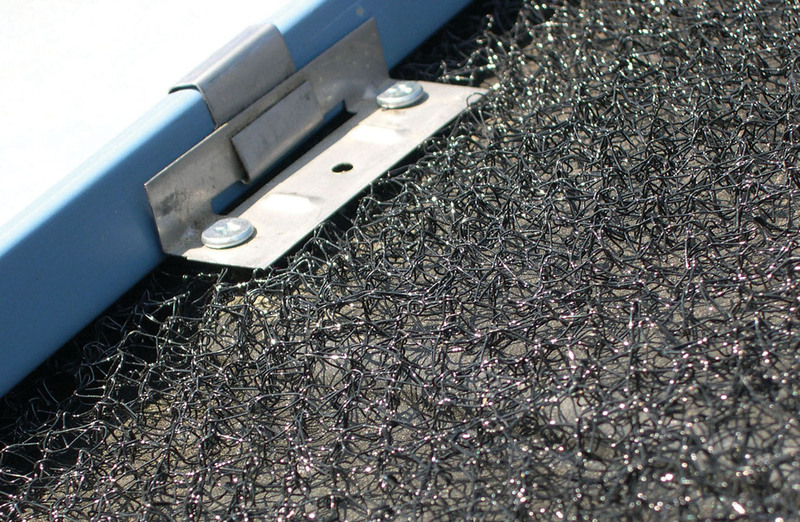 EnkaRoofVent 7020 is a 3-dimensional multi-use mat of nylon filaments fused at the intersections. A thermal break, it creates a temperature difference up to 22°F between the roof surface and the sheathing (substrate) and reduces noise from rain or sleet by 9.5 to 13.5dB. 7020 is .75in (19.05mm) thick.